Five lucky freetrade pubs will each win ‘Free Beer for a Year’ from Norfolk-based independent brewery, Woodforde’s. The new promotion is targeted to the brewery’s existing freetrade customers and is being promoted via its Sales and Telesales teams. Winners will receive two firkins per month for twelve months from January 2018. To qualify the freetrade pub must purchase a minimum of three firkins per week, for four out of the five-week promotional period between 4th December 2017 and 5th January 2018. For every three firkins purchased, one entry will go into the prize draw. The winners will be drawn on the 9th January 2018. 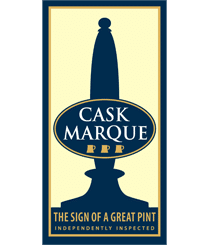 The winning five pubs will win two firkins of Woodforde’s beers throughout 2018. James Hughes, CEO, Woodforde’s Brewery says: “This is the first time we have run a ‘free beer’ promotion for our freetrade customers. We want to reward those pubs that promote our beers over the busy festive season. It’s one way of showing our customers how much we appreciate all their hard work and their support for Woodforde’s beers”.